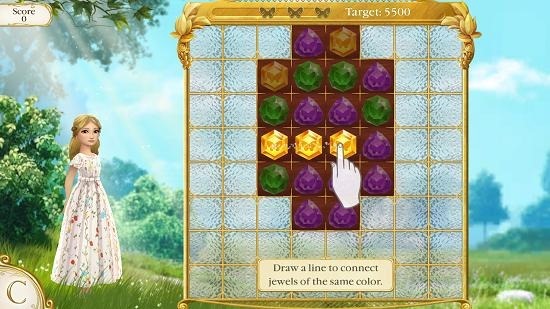 Cinderella Free Fall is a free game app for Windows 8 and 8.1 which allows you to link and destroy gems. 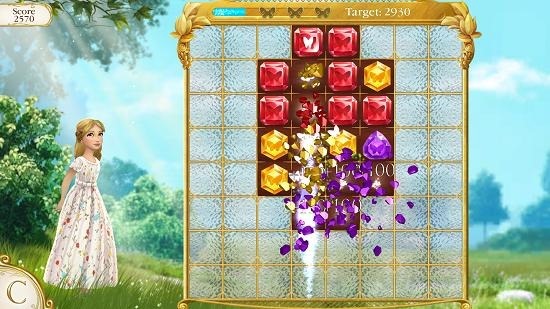 In this game, you have to click and drag your mouse over the gems which are lined up. 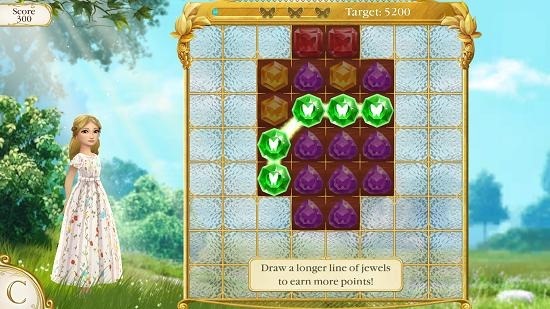 You have to draw a link over the gems, and the best part is that instead of moving and matching pairs of gems, you can draw a link line that can join horizontal, vertical and diagonally placed gems at the same time, thereby allowing you to create larger combos and go for a higher score. 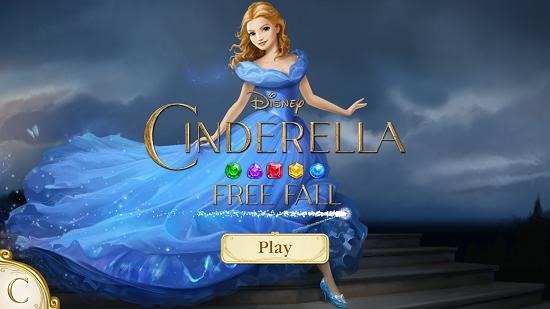 Cinderella Free Fall is available for free from the Windows App Store. When you install and run the game, you will be shown the below screen. This is the main interface of the app from where you can go ahead and start playing the game itself. When you click on the Play button in the above screen, you will be taken to the level selection screen which looks like the screenshot below. When you have chosen the level which you wish to play, the gameplay screen follows. The first level is the tutorial level which looks like the screenshot below. In the tutorial you can see how the jewel combos have to be made. 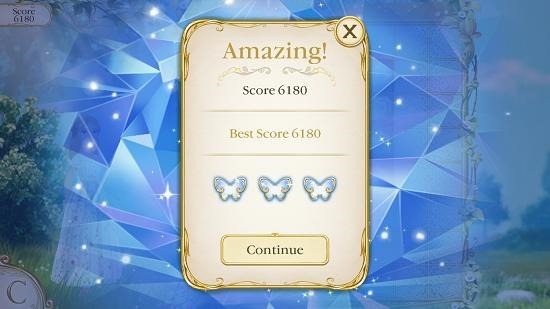 You can choose to drag your finger (on a touch screen device) on the jewels or click and drag your mouse to create a combo and destroy the jewels to score and your score will be visible at the top left of the screen. You can see the line of connectivity drawn on jewels in the screenshot below. And then, like magic, the jewels will go Boom! They will get destroyed and your score meter will shoot up. 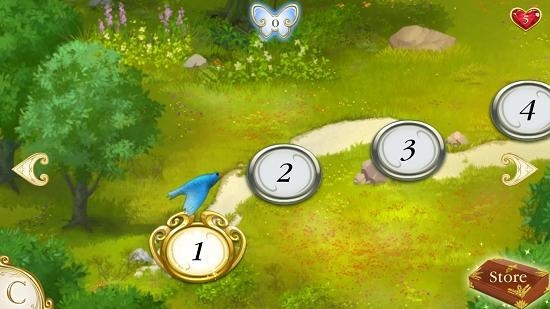 Once the level is completed, you will be shown how well you performed in the game in the way of a butterfly rating which can be seen in the screenshot below. You can click on the Continue button in the screen above to proceed to the next level. This winds up the main features of Cinderella Free Fall for Windows 8 and 8.1 devices. Cinderella Free Fall makes for a great download on devices running Windows 8 or 8.1. You can grab the game for free from the link below.